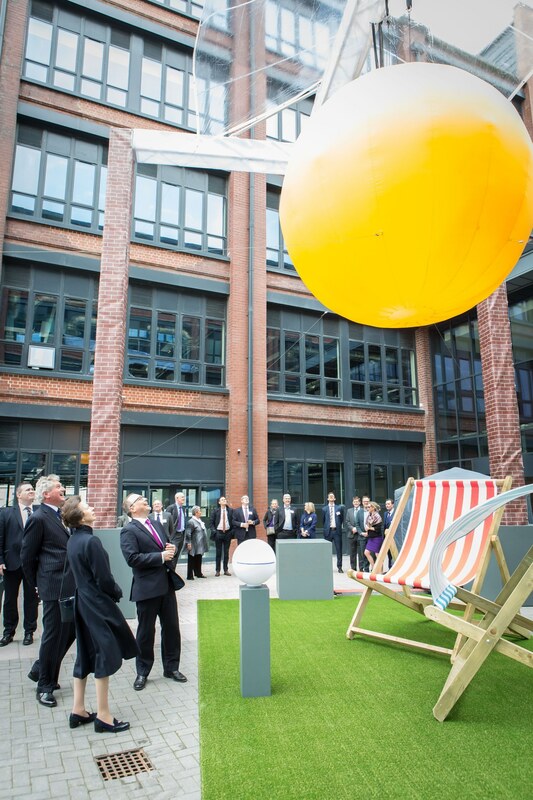 To mark the Grand Opening of The Chocolate Quarter, Her Royal Highness, who attended as Honorary Member of the Society of Merchant Venturers, was given a tour of the site by Chief Executive of the St Monica Trust, David Williams and Master of the Society of Merchant Venturers, Charles Griffiths. Also in attendance was the Lord Lieutenant of Somerset, High Sheriff of Somerset, Chair of BANES and the Mayor of Bath. 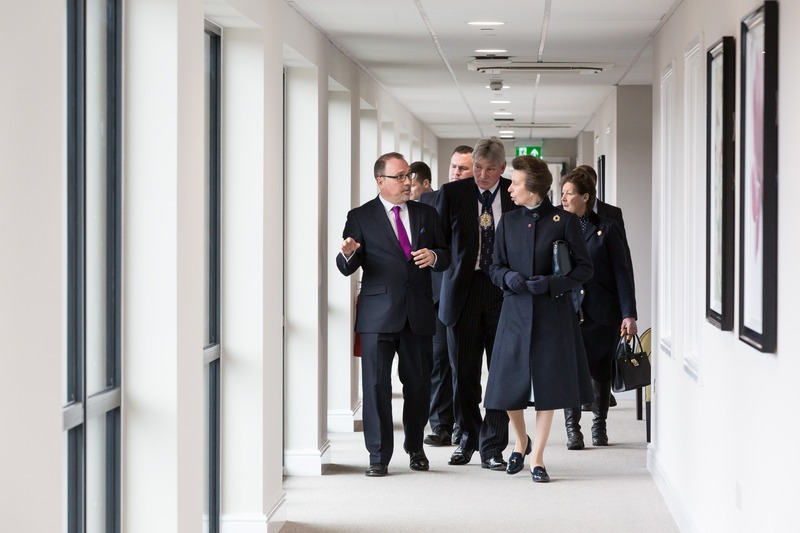 The tour showcased the facilities in the new £60 million intergenerational development including a cinema, restaurants, health spa, pottery studio and Charterhouse, a state-of-the-art 93-bed care home. The Princess Royal then joined residents and staff for an afternoon tea and unveiling of a commemorative plaque in Somer Dining. 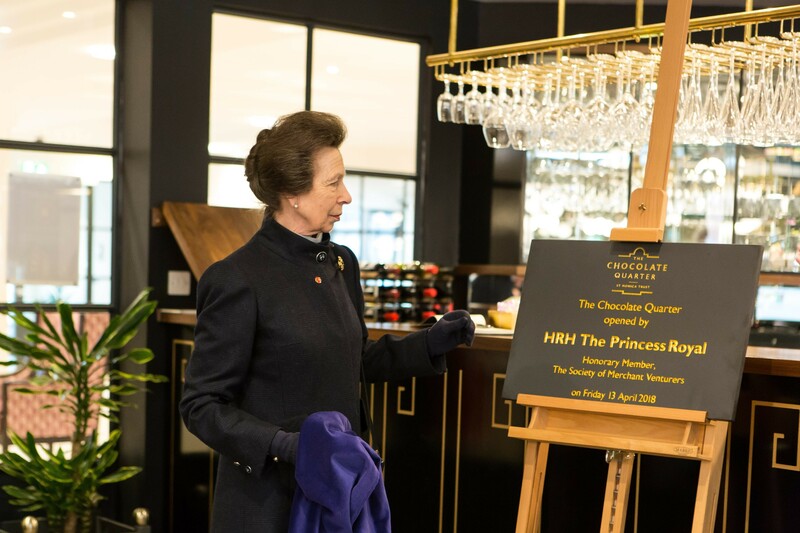 Following the tour, The Princess Royal switched on a unique art installation to mark the start of the Grand Opening weekend, which took place on Saturday 14th and Sunday 15th April. The vast sun glowed between the iconic red-brick buildings radiating warmth, light and sound to create an impressive, interactive experience which was enjoyed by visitors throughout the weekend. Throughout the Grand Opening weekend, there was a packed programme of free entertainment will also be available to visitors, including a Vintage Gramophone DJ, eye-catching rainbow light installations, fun films in the on-site cinema, live music and dance. 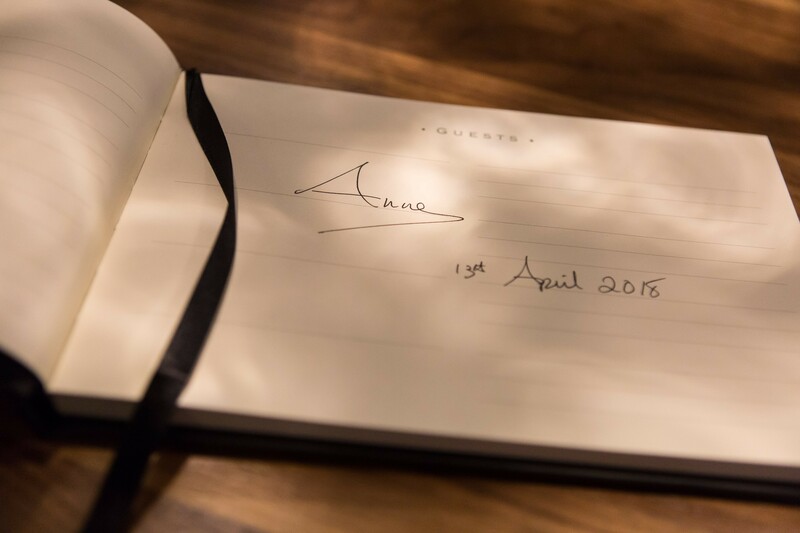 Many visitors also took the opportunity to have a guided tour of both Charterhouse and Riverhouse, which took in the show flat and an apartment on the fifth floor. The Chocolate Quarter also uniquely includes office space for local businesses, such as Pukka Herbs, IVC and St Augustine’s surgery. 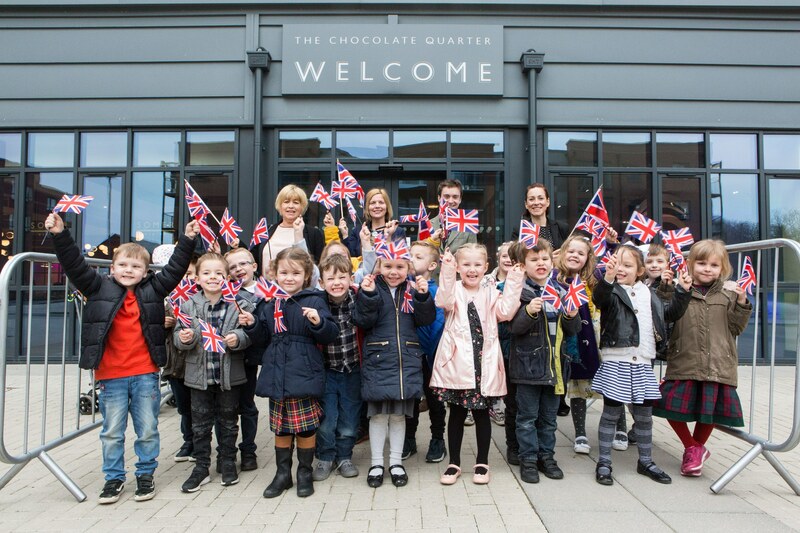 If you would like more information about The Chocolate Quarter call 0117 949 4004 or email info@thechocolatequarter.org.uk. You can also request information online at www.thechocolatequarter.org.uk.